Is it in the Maluti mountain range? Don't know but Lesotho is nearby. A bit off the beaten track. 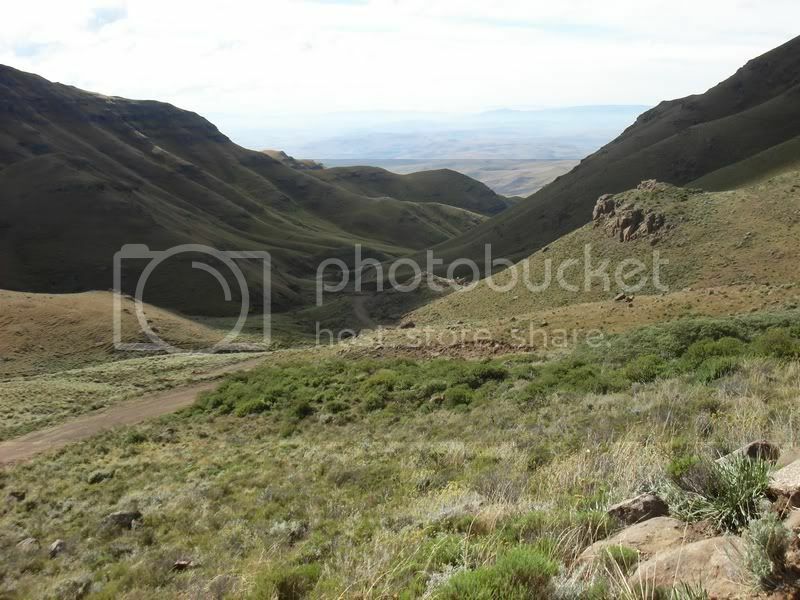 Close to Fouriesburg / Lesotho border crossing? Nah it is Baster Voetslaan Pad, Eastern Cape. Come on, tell me I'm right. I will also say that it is near Fouriesburg, somewhere? One of the must do passes one must do when one is in Barkley East area, would you agree Jonw? Correct. That Pass is a must! Ok my turn, where was this taken? Geen idea nie. Maar damit dit lyk nice daar. it was luck saw it on a RR over the weekend even marked it on mapsource as a "to do"